Jungle Fever: A campaign to save world rainforests. Have you got it? Catch Jungle Fever and save the world’s rainforests. Rainforests are precious and we are losing them fast. 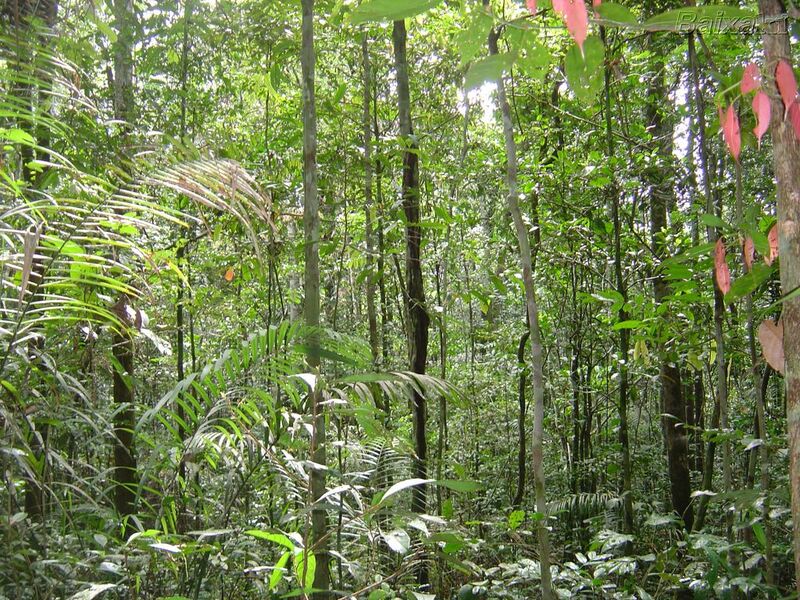 28 million acres of rainforest are destroyed annually. At this rate, in 49 years time there will be none left. Rainforests contain half the planet’s wildlife and represent home for many people. They create oxygen and absorb more carbon dioxide than the entire transport system produces, control global weather patterns and contain many ingredients for medicines. Rainforests regulate the global ecosystem, without them we face the increasing occurrence of natural disasters and ultimately the extinction of life on earth. Jungle Fever is raising urgent cash for 4 charities and 1 forest project, working across the world to stop the relentless destruction of rainforests, safeguard forest communities and wildlife. Jungle Fever supports the crucial work of Rainforest Concern, Size of Wales, Cool Earth, the Zoological Society of London and The Forestry Commission’s Bedgebury National Pinetum (the most complete collection of conifers in the world). Jungle Fever is a win-win solution, showing everybody how to avoid foods and the wood based products that drive deforestation, including palm oil, soy, beef, illegally logged wood and paper products. 3. April 2nd 10:30 am: Love chocolate, hate palm oil? Then come on down to meet two master chocolatiers: Mott from the Granada Chocolate Company and Chantal in her famous shop Rococo Chocolates, 5 Motcomb Street, London SW1x 8JW. 4. June 19th: Come and enjoy a Midsummer Picnic with Andrew Mitchell, Director of Global Canopy Programme, highlighting the prevalence of palm oil in common foods. bring your own picnic to the lawn of Oxford University Museum of Natural History and the Pitt Rivers. Parks Road, Oxford OX1 3PW. Please check the website for details (http://www.oum.ox.ac.uk/visiting/whatson.htm). 5. 11th September: Open Day at Bedgebury National Pinetum in Kent, join a guided talk by Chris Renyolds, the senior curator and learn about temperate forests, global partnerships and the research done at Bedgebury. You can also attend the Rumble in the Jungle Quiz. £20 per person (inc entry fee) (http://www.bedgeburypinetum.org.uk/). Please meet at the cafe: Time tbc. 2a. October: Jungle Juice Drawing Master Class with Jane Langley MA RCA. Come and have a go at drawing the zoo’s gentle Honey Bear and her friends at London Zoo. £100 per person 10:30am -1pm. max 25 places. 2b. October half-term Jungle Juice Drawing: Safari on a Pencil. For children of all ages and adults too! Led by Cool it Schools and the brilliant art students from City and Guilds of London Art School. Event is free but Zoo entry has to be paid. 1. March: Friday 25th and Saturday 26th Launch of Jungle Fever at UK Aware Ethical Trade Fair, Olympia, London. Come to the Cool it Schools stand over in Kid’s Corner and make a miniature rainforest with a team of artists and knitters (http://www.ukaware.com). Also at UK Aware, Saturday 26th, The Golden Ticket Hunt…will you be a lucky winner of a palm oil free Chokolit Biting Back Bar? 2. Sunday 27th March at 12 noon: Grand Banquet of Rainforest Insects amongst Angela Palmer’s ‘Ghost Forest’. The celebrity chef and food writer Thomasina Miers will create insect dishes and experts will debate the potential of insects as an alternative source of food if a predicted population explosion leads to a worldwide meat shortage. Guest of honour H.E.Maurico Rodriguez Munera, Ambassador of Columbia will be assisting and the banquet. Maitre d’ food and wine critic Paul Levy. Museum of Natural History, Oxford. El 16 de enero en el río Chambira, se produjo otro derrame de petróleo crudo de la empresa Pluspetrol, la empresa envió a especialistas que arrojaron químicos para que el petróleo se hunda. Las comunidades afectadas han sido las de San Juan del Chambira, Ollanta y Progreso del distrito de Parinari en la provincia de Loreto, que esperan una reunión con la petrolera para poder negociar. Sabemos que las autoridades respaldaran a la empresa y ¿quién respaldará a las comunidades? La empresa en lugar de limpiar el río con las técnicas adecuadas, lo que hace es usar químicos para fondear o tapar el derrame y que no se sepa la cantidad exacta del derrame.